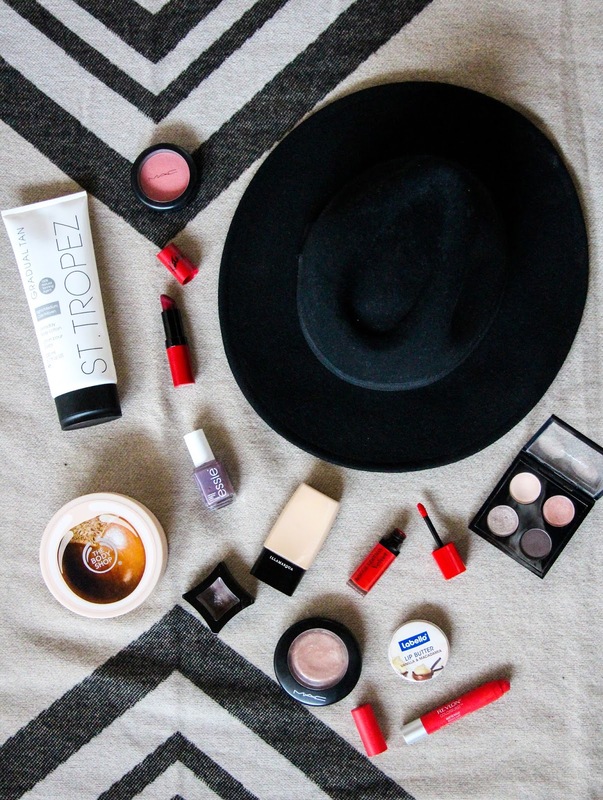 Today's post features all my essentials for the cold, winter time when our skin needs special attention. My set of essentials includes a variety of red lipsticks, which I especially love to wear in December, pink blush and highlighter from Mac to keep my cheeks looking fresh and glowy, St. Tropez gradual tan lotion to keep me looking at least a bit more tanned than I actually am, body and lip butter for my very dry skin and lips, brown eyeshadow for the smokey eye-looks I love to wear in winter, a full coverage foundation, lovely purple nail polish and a gorgeous eyeshadow palette from Mac. This are all my must-have winter products. For the specific items I just mentioned check out the list below! What do you love to use in the winter time? Let me know in the comments below.